Toys AndMe and Ruby Rube engage over 4.5m kids for The Emoji Movie Release! For this campaign Sony and Viral Talent teamed up in preparation for the highly anticipated Emoji movie. For this launch we were given the brief to reach out to the movies target audience, 7-13 year old boys by utilising the UK’s most influential kids channels for the upcoming film. Viral Talent recommended the UK’s largest child vlogger, Tiana (from Toys AndMe) and their family channel Famtastic which features her Dad, Mum and Brother. Both Toys AndMe and Famtastic entertain millions of viewers per video with a whopping 4.8 billion views between the two channels. Engaging mainly young viewers, Tiana and her family were perfect when it came to reaching The Emoji Movies Target audience. 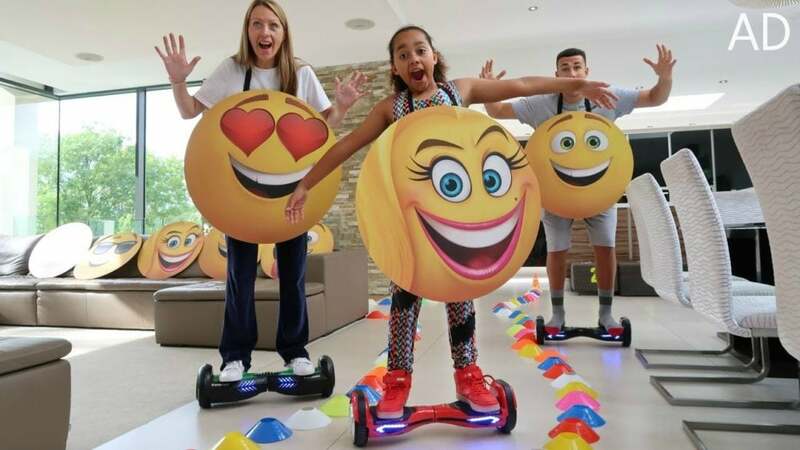 In the video the family are seen racing around the house as Emoji Movie characters just after a short and snappy trailer summarising the movie and it’s release date. 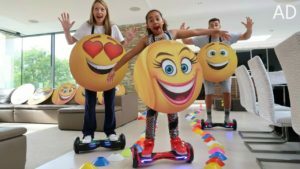 The video named “THE EMOJI MOVIE Crazy Hoverboard Challenge In Our House! Part 2 Family Fun Games” is the second addition to a very successful original video by the family. By doing this, as well as incorporating the movie throughout, Famtastic integrate the sponsorship well, giving more of a natural feel to the promotion. Receiving an enormous 2.7 million views in just 2 weeks (currently at 4.5m views), the promotion is a clear success providing optimum exposure for this film title. To further promote the Emoji Movie, Sony also chose popular and ever growing YouTuber Ruby Rube, with over 1.5 million subscribers, half of which coming from the last 2 months alone. Instead of YouTube this time around, Viral Talent suggested reaching Ruby’s audience through Musical.ly, a new video social network app. In the video, Ruby announced a give away of an Emoji Movie goodie bag via a competition mechanic. This relied on her viewers engagement with the movie trailer featured at the end of her video post. This guaranteed more young fans viewing the trailer, investing time to view the content whilst digesting the keypoints for the movies impending release. Furthermore, this has seen over 101k views, 10.5k likes and 6.7k comments!